Content is critical for the success of your business. It keeps your audience engaged, increases brand awareness and is the perfect marketing tool for promoting your brand voice. Yet there’s a lot to managing content as a brand. As a business owner, you’re in charge of brainstorming, creating, writing and posting your own content. From ongoing social media posts to weekly blog posts and beyond, your content list seems never-ending. There is a fix, however—a content calendar. 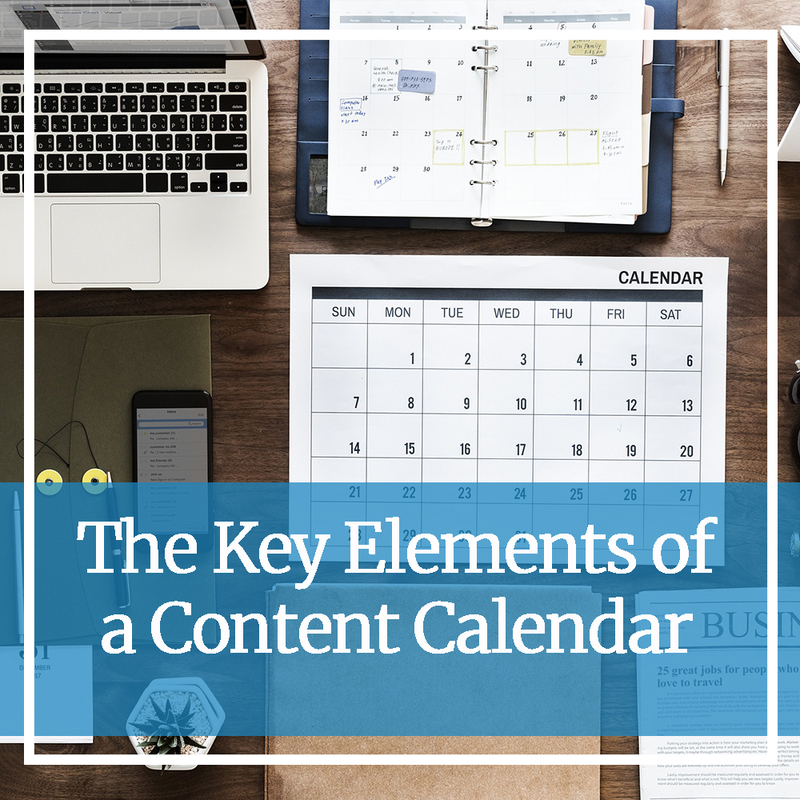 With the right information included, a content calendar can help you keep track of all your brand content, from blog posts to website content to social media, keeping you organized and productive. Have you ever sat down to write a blog post, only to be stuck on a topic? Have you opened Facebook to post on your business page, only to be all out of ideas? If this sounds like you, a content calendar can change the way you create content. A content calendar helps you become a planning powerhouse. You can set aside a few hours once a week to brainstorm content and schedule it on your calendar for months in advance. This way, you know exactly what you’re scheduling and when. A content calendar is also a great time-saver. Brainstorming content in the moment often takes longer than doing so in advance. When it comes time to post on social media or post to your blog, your content is ready to go. There are a few key elements even the most simple content calendar should include. So, before you go create your own, take note. Subject or title: Every piece of content in your calendar should have a title or a subject. For example, you can use the title of your blog post or the subject of your social media post. These don’t have to be final—an idea is just fine. Dates: The simplest calendar should include the date you plan to publish the content. If you have a copywriter or marketing team, other dates should include a draft complete date and final complete date for editing purposes. Content type: What type of content will you use your calendar for? You’ll want to make sure the type is specified for each piece such as blog post, Facebook posts, etc. Notes: A note section is a perfect place to expand on your idea, collect inspiration or add important notes for your team if applicable. A content calendar is one powerhouse tool that can change your content marketing game. So, now it’s time to fill that calendar up with amazing blog, social media and website content ideas. Want to learn more? Or perhaps you still feel stuck? Feel free to send us a message!